It is with great sadness that we report the passing of one of our original shareholders and longstanding supporters. Thursday 25th November saw 5542 pass its final annual boiler exam of this 10 year boiler certificate. 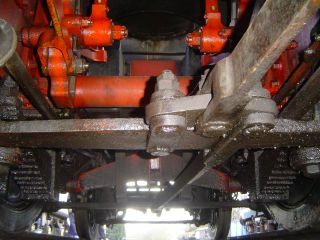 Provided the loco continues to give the reliable service we have come to expect since 2002 it will continue in service until the end of September 2011. Following the expiry of the current certificate the loco will return to the South Devon Railway workshops at Buckfastleigh where the boiler overhaul has been planned for sometime . Work will commence immediately and is planned for completion by Mid 2012. Following the major 'bottom end ' overhaul a few years back we are not intending to undertake anything other than routine work in that area. 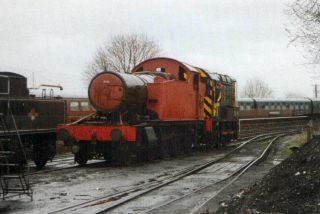 The loco has now returned to the Gloucestershire Warwickshire Railway where it will undertake Santa and New Year Gala duties. 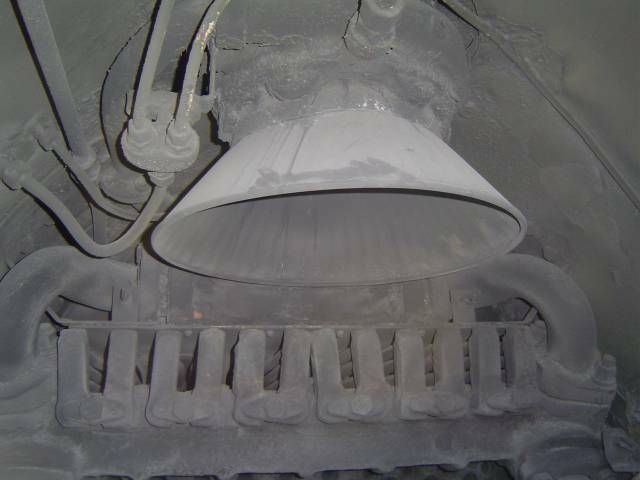 We are pleased that to date we have achieved 811 days of use since September 2002. We believe our strict boiler management policy has resulted in no major boiler repair work being required during the 10 year period. 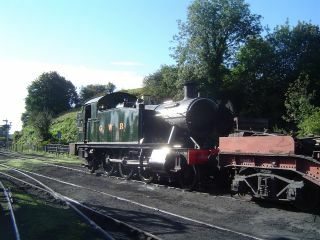 The loco has operated at 12 different railways since restoration, reaching from the Bodmin and Wenford in Cornwall to the Churnet Valley, Battlefield Line and Severn Valley Railway in the Midlands and the Mid Hants in the South. Just under 50,000 miles have been covered to date with the West Somerset (493 days) having the lions share, the Gloucestershire Warwickshire (196) and South Devon (60) making up the other major users. Our loco has today moved to the Swindon and Cricklade Railway ahead of their GWR 175 Gala taking place over the next 2 weekends. We are likely to be in operation in conjunction with GWR Autocoach 178 which is visiting along with 3717 City of Truro, 5322 from the GWS at Didcot and 4612 from the Bodmin Steam Railway. 5542 will operate over the newly opened Southern section of the S & C. The 4 day event will also see Swindon's resident locos in steam so this promises to be a ground breaking event for the Wiltshire railway. 5542 will remain there until late in July and is expected to see 16-18 days of operation before moving on to the Battlefield Line . Look out for some pictures of the visit soon. 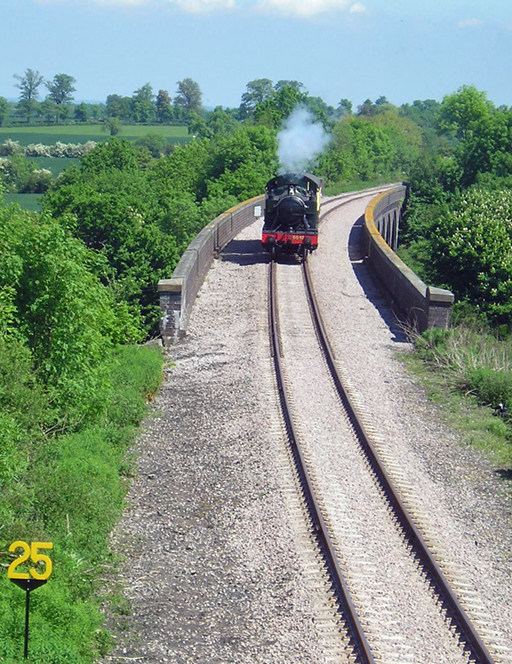 5542 had the honour to be in charge of the first public train over the magnificent Stanway Viaduct in preservation. This is the first part of the Gloucestershire Warwickshire Railway's extension from Toddington towards Broadway and ultimately Honeybourne. Whilst the track is only passed for public travel for the first half mile at present the rails are in situ for a further 2 miles and are being worked on to allow that stretch to be reopened as soon as possible. 5542 was once again called upon at short notice as problems meant that rostered loco 1450 was unable to perform today but should be fully operational in time to run the advertised trips over the 9 days of forthcoming GWR 175 Gala. 5542 is scheduled to cover the duties on Wednesday and Thursday next week. The loco will leave the GWR soon after the Gala and head for Swindon for a few weeks before a visit to the Battlefield Line then returning to Toddington in early September until Christmas. 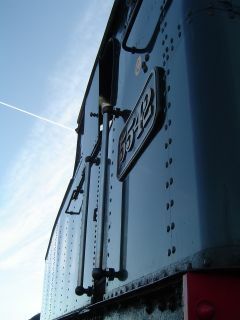 This weekend sees the 5542's 2010 operating season getting underway. The GWR's Sunday service trains are scheduled for 'small prairie' haulage and then our loco will be involved in sharing the prestige Cheltenham Gold Cup meeting Race trains with Modified Hall 7903 Foremarke Hall. Click here for more details. The loco has had a pre season 'once over' but this has been limited to little more than some routine checks. 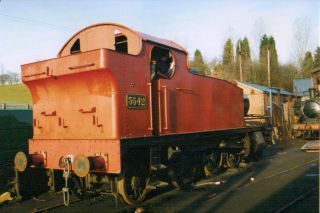 The short notice Churnet Valley visit in February has confirmed the loco's fitness to face what will be the last full year of its current boiler certificate. Visits to the Swindon and Cricklade railway in June and July and on to the Battlefield Line are now confirmed. 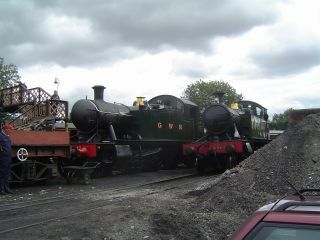 The GWR 175 celebrations at the Gloucestershire Warwickshire and Swindon and Cricklade will include 5542 working on some Auto workings amongst other duties. As 5542 approaches its final year of its current 10 year boiler certificate demand for its services continue unabated so the following is a brief outline of the expected venues that our locomotive will appear at during 2010. 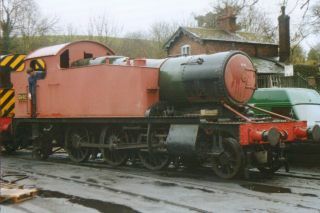 The brief and short notice visit to the Churnet Valley Railway in Staffordshire is due to end on 25th February having undertaken 4 days of work including appearances at their Winter Gala, 'Barney Buffers' day, and a photo charter in the company of Large Prairie 5199 recreating the days of Cambrian Coast Express . Return to the Gloucestershire Warwickshire railway will be in good time for the beginning of their season and the Cheltenham Gold Cup race days. The loco will remain there until early June which will include the 9 day GWR 175 anniversary celebrations when 5542 will rub shoulders with amongst others, 3440 (3717) City of Truro,7903 Foremark Hall, newly restored GWR 2-8-0 2807 and the Toddington based Stanier 8F both of which have been subject of long term restorations. Visitors already booked include 1450 and 5322. 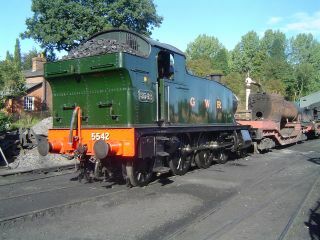 The GWSR website has more news and information about the event. After the above event 5542 then moves to the Swindon and Cricklade Railway (for more details see) http://www.swindon-cricklade-railway.org/gwr175.php#top also in the company of City of Truro for their GWR 175 celebrations over 2 weekends during mid June. See The Swindon and Cricklade railway website for more details. City of Truro will return to the G/WR after the Gala but our loco will remain in Wiltshire until late July undertaking a range of duties. We are expecting to find about 15 days of use during the stay. Towards the end of June we move again to polish 'new metals' at the Battlefield Line in Leicestershire where the visit will last until the first weekend of September with 12/14 days of use planned through the main part of their summer season operation. 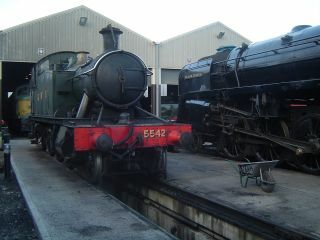 The mainstay of locos here is LNER 1306 Mayflower, so there will be a fair contrast in motive mower during our visit. Following the Battlefield line visit we will return once again to the GWSR to continue duties up until the end of Christmas trains. Details of how the loco will spend the final months of the boiler ticket will be added here when known. NB. All the above details are listed in good faith (as at 24/02/2010) and are mostly subject to final contract. Exact dates of arrivals and departures from the various locations will all be subject to transport arrangements to be confirmed nearer the dates. If you wish to confirm specific dates of appearances then please contact the railway concerned close to the date.